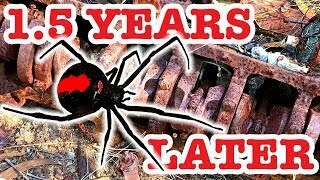 Halloween revisit of the old car wreck where 18 months ago I released the amazing Redback Spider that was able to kill anything that I presented to it. My Son called it John Cena even though it's a female spider. 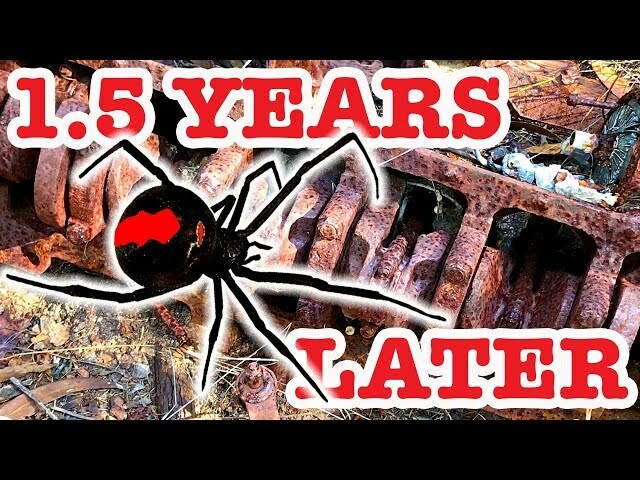 Redback spiders have the ability to adapt to non natural environments and the rusty old car wreck is obviously far nicer than living under a rock. This visit was just after weeks of very heavy Spring rain and I was looking for new spider activity and spider egg sacs. I could see fresh redback spider webs and critters the spiders have captured. In a few more months this car wreck will be alive with Redback spiders enjoying the Summer spider season. 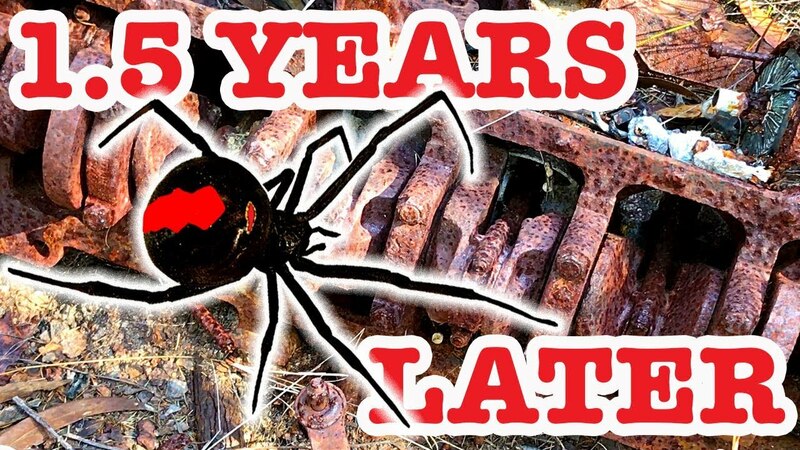 Video posted as educational, documentary, and scientific and forms part of my Redback Spider study series of videos.